Going through photos on my computer I came across these pictures from a project I did awhile back. 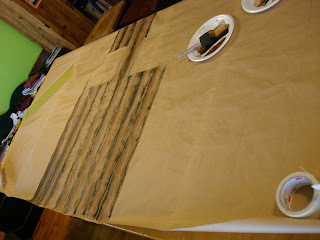 I was asked to paint a "log cabin" from Nauvoo for a church activity. 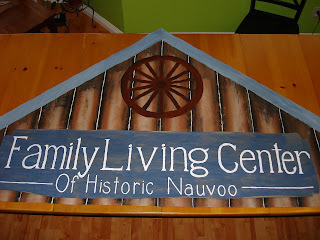 I painted the Family Living Center of Historic Nauvoo, in two sections on brown contractor's paper (same stuff I used for the Fiesta decorations). I used the color of the paper to my advantage. Not bad...I didn't remember to get a photo of it finished, up on the wall at the church. Oh well. You get the idea.